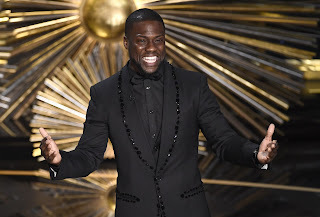 Comedian Kevin Hart on Thursday night said he's pulling out as host of the Academy Awards after he came under fire for old homophobic tweets and jokes that were recently resurfaced by people on social media. "I have made the choice to step down from hosting this year's Oscar's....this is because I do not want to be a distraction on a night that should be celebrated by so many amazing talented artists," he tweeted. "I sincerely apologize to the LGBTQ community for my insensitive words from my past." The move came after Variety reported that he said he had been given an ultimatum by the motion picture academy to apologize for statements he made years ago that used hurtful and homophobic terms to describe gay men or he would be replaced. Earlier in the day, Hart responded to a backlash that unfolded after those jokes and tweets were resurfaced by people online after it was announced he would host the 2019 Oscars. Hart posted a video to his Instagram on Thursday evening where he wrote in the caption for people to "stop being negative" in response to criticism that he made insensitive jokes about gay men nearly a decade ago. The comedian didn't apologize or admit wrongdoing in his video, but said that the world was getting to be "beyond crazy." "Guys, I’m almost 40 years old. If you don’t believe that people change, grow, evolve as people get older, I don’t know what to tell you," Hart, 39, said in the video. "If you want to hold people in a position where they always have to justify or explain their past, than do you. I'm the wrong guy."